(2006) Kama (Myla Balugay), a Thai Mail-order bride moves to the U.S. with her new husband Joseph Delaney (Peter Coyote), in search of the American dream. She soon discovers the world she hoped for is actually an emotional prison. Her only salvation is Joseph's mentally unstable, otherwordly son, Billy (Matthew Carey). In order to escape the American nightmare she will have to trust Billy to free her, even if it means someone must die. AFI FEST Daily News: What inspired you to make APPARENT HORIZON? Thymaya Payne: I was living in Berlin during the first few years of the Bush administration (hiding) and thinking deeply about national identity - my own in particular - and wondering curiously to what ends people would go to become Westernized and/or American. Specifically I was curious about the usage of the Internet to buy spouses from the East for lonely men in the West: Love as something you could shop for online. I just couldn't understand why people would give up one of the only things that comes free in life, love, in order to attain material gratification. Has America's free market global marketing campaign been so successful that billions around the world will do anything just to attain the material gratification that the west supposedly offers? What is this facade of comfort but an empty vacuous black hole of never to be fulfilled desire? 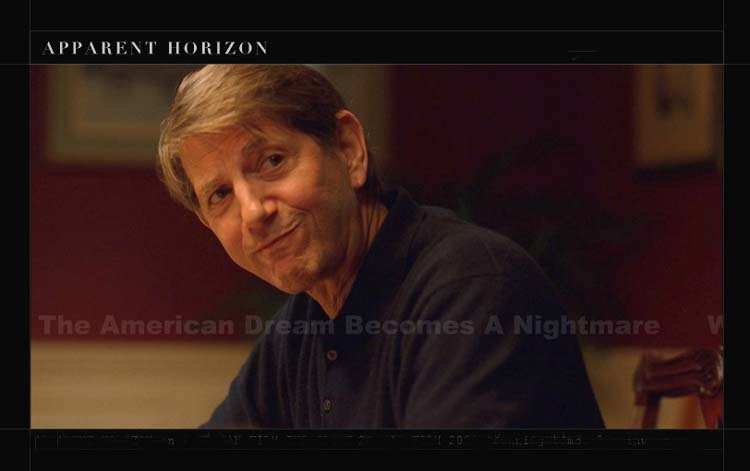 Peter Coyote stars in your film. How did that happen? Thymaya: Providence. When I was writing the script I was in a Pedro Almadóvar film phase. I was watching all of his films over and over again during a brutal Berlin January. (It's dark there all the time so the only thing to do is drink, party and watch films.) One of my favorite Almadóvar films, KIKA, stars Peter Coyote as this insane American serial killer. He is so vulnerably evil. I loved it. I cut out a picture of him and put it on my wall. He was Joseph. So when it came time to cast, I wrote him a letter. He said yes, came down and taught us all what filmmaking is about. He is honestly one of the coolest guys I have ever met.